We took a stand at a three day Arboricultural Association conference, attended by 400 people who either work outside or manage others who do. Awareness of ticks is key to avoiding Lyme disease and this is a health & safety issue that needs to be high on many companies’ agendas. We had a very valuable 3 days and it was also very interesting to hear people’s stories. 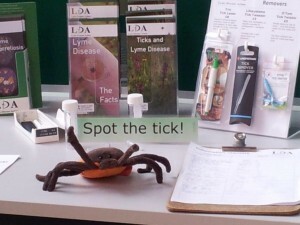 We provided over 600 leaflets – both our basic awareness “Ticks and Lyme Disease” and also the detailed ones about Lyme disease. Over 100 posters went to good homes. People came to our stand not only for themselves, but for employees and family as well. 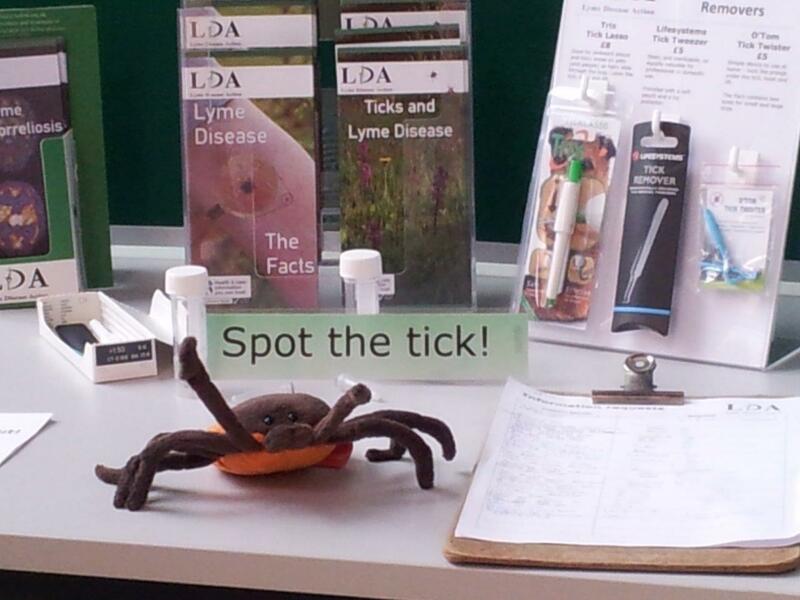 We showed them real ticks – “much smaller than those on your pets!” – and demonstrated tick removers. Several had had Lyme disease, and some had had it more than once. 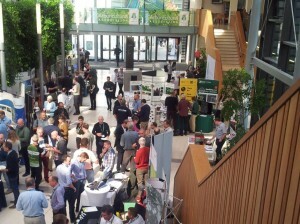 A lot of people said they were glad we were there, and we shall be taking a stand to next year’s conference as well. This event cost us about £600, plus the cost of leaflets and posters, and we can only do this because of donations and those who put immense effort into fundraising for us. If you think this is worthwhile, then consider sponsoring someone – several people have current events on our MyDonate page.